Red dates are one of the most popular health foods with the Chinese people. 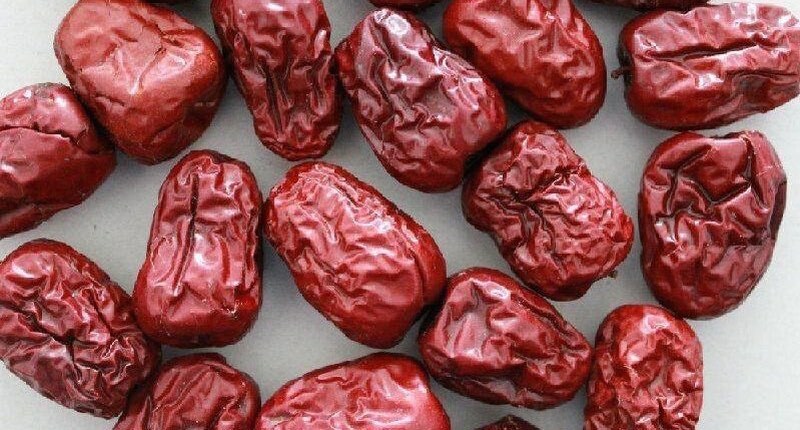 The health benefits of red dates are immense and these dates are often used as food, in making health tonic, to be added in traditional herbs, and even in desserts. Red dates, also called jujube, are brown-red stone oval fruits with thin shiny skin. They vary in sizes between 2.5 and 6 centimeters, and grow on trees. The red date tree, Ziziphus zizyphus, is also called jujube tree or Ziziphus jujube. The tree is mainly found in Asian countries, but also in Arab countries and for several hundred years in southern European countries. Jujube trees are now also growing in the USA, where production of red dates has increased dramatically. The history of the red dates began in the new Stone Age (Neolithic), about 8000 years ago. The people of the ancient Zhou Dynasty (circa 1046-256 BC) used the red dates to brew wine. 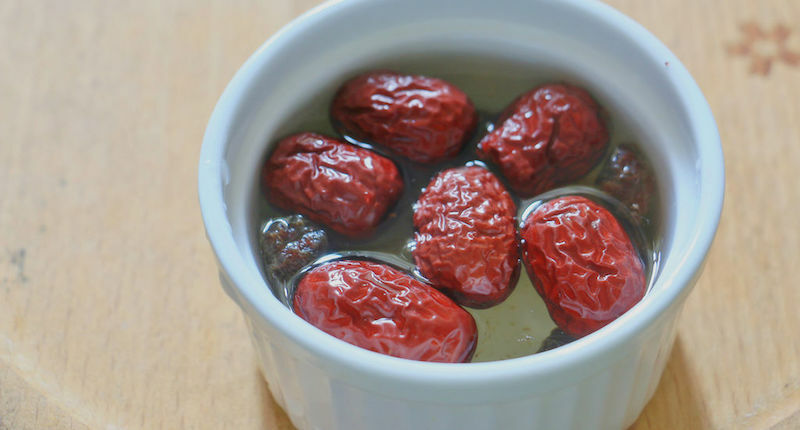 Since that time the red dates were often mentioned in the Traditional Chinese Medicine (TCM), where the ideal meal consists of a combination of flavor, nutrients and medicinal effects. Even in the modern world, the red date is very popular and is recommended as “natural vitamin supplement” because of the health benefits. First, dates contain many vitamins. B vitamins are well represented in dates and this means that you get a lot of vitamin B if you regularly eat dates. In particular, vitamin B6, also called pyridoxin, is common in dates. If you eat 100 grams of dates, you get nearly 20% of the Recommended Daily Intake (RDI) of Vitamin B6; and 16% of the vitamin B5 RDI. Other vitamins in dates are the Vitamin A, Vitamin B2, B3, and B11. Dates also contain several important minerals. If you eat 100 grams of dates, you get 40% of the RDI of copper; and 16% of the RDI of potassium. Other minerals found in dates are the manganese, magnesium, iron, phosphorus, calcium, and zinc. In addition to vitamins and minerals, there are other healthy substances in dates. Anti-cancer: The high lutein content in dates helps prevent cancer by eliminating free radicals in the body. Free radicals not only cause cell damage but also damage the DNA and can be very dangerous. Anti-depressant, natural: Eating red dates can help to reduce stress and fear, and also seems to support mental agility. Researchers found that date extracts had the highest biologic effect in the activation of an important enzyme in the synthesis of our acetylcholine memory molecule, the so-called choline acetyltransferase. Anti-inflammatory: Also disclosed are anti-inflammatory properties that may be related to the presence of oleamide among others. Oleamide is a very interesting substance that produces ourselves in our brains when we are at rest. It’s our built-in brake not to go on endlessly. Blood-building: Red dates are an excellent source of iron, and a powerful natural remedy against anemia and replenishing red blood cells. Blood Pressure: Eating fresh jujubes or drinking red dates tea regularly will help to regulate your blood pressure. Red dates in its dried form contain even higher levels of potassium that is helpful for keeping the blood vessels relaxed to improve blood pressure. Cataract: Zeaxanthine, a phytonutrient that is high in dates, is beneficial for your eyes and prevents you from developing cataract. Heart health: Red dates also contain polyphenols that appear to have clear efficacy in the prevention of cardiac damage after a heart attack. It is, therefore, a myoprotective agent. Immune system: Extracts of the fruit also appear to enhance the immune system. In a clinical study, the fruit appeared to have clear therapeutic effects on constipation, something we especially know about dried plums. Sleep better: Jujube contains compounds known as flavonoids, saponins and polysaccharides that have a soothing effect on the nervous system. This gives it the ability to induce sleep and help insomniacs to get a restful night without drugs. Many traditional herbal remedies include dates as they are used to improve blood circulation. Red dates are very versatile and can be eaten in many ways. They are also easy to store and be used easily. You can eat fresh dates as they are, or you can add them to your cooking, in broths, soups, teas or desserts. TCM suggests eating 5 dates as snacks, three to four times a week. More does not mean better so be mindful to limit consumption. 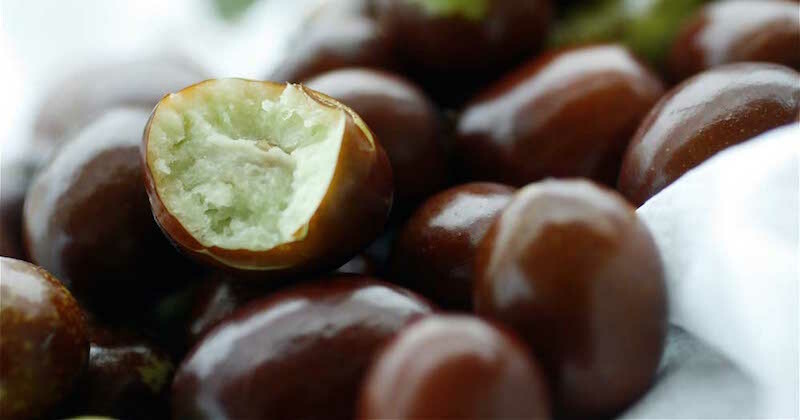 In TCM, red dates are used because of the high iron content to prevent anemia. We speak of anemia when we have a low blood hemoglobin level. Hemoglobin is a protein that is present in our red blood cells. This protein also gives these cells the red color. Hemoglobin has only one task in your blood, it is in charge of the transport of oxygen carbon dioxide through the blood. A deficiency of iron is the main cause of anemia. Traditionally, Chinese women eat red dates or boil red dates tea regularly to help replenish monthly lost blood. It is also said to be the elixir of life that gives youthful looking skin. Women who have newly given birth are given brewed red dates tea that is nourishing, improve blood circulation and revitalize overall body and health wellness. Bring the rice with the red dates in it to boil and simmer until the rice is over soft. Be sure to simmer in very low fire to prevent the water drying up. Cook for about 25-30 minutes. You will get a very fragrant-smelling porridge (congee). Serve warm. This simple bowl of red dates rice will help improve the digestive system and blood circulation. Do You Remove Red Date Seeds? A TCM sinseh told me that the seeds in red dates can be “heaty”, so it’s best to remove them before use, to prevent “heatiness”. If you are suffering from these conditions, it is suggested to remove the seeds when eating red dates: Constipation, gas and bloating, fever, cough with yellow phlegm, mouth ulcers. These are signs of “heatiness” in the body. Red dates are usually available in three forms: fresh, dried and sweet dates. Although the fresh fruit is good to eat and is full of vitamin C, dried red dates are often used to make tea or soup. Dried red dates have skin that prevent the nutrients to leach out when brewed. It is suggested to make a slit of each date lengthwise to get the most out of them. In a stainless steel pot, fill up with 500ml of pure water and bring to boil. Make a slit in 10 dates and remove the seeds. Turn down the heat to very low and leave it to simmer for about 15 minutes. Remove from heat, let cool and drink. You can also brew more and store it in your fridge in bottles, to be drunk over 2-3 days. In the Chinese culture, to this red dates tea are often added other foods such as: Dried longan, dried honey dates, white or black fungus, lotus seeds, lotus roots, ginkgo biloba, ginger root, goji berries, dried chrysanthemum, and the list goes on.